I will say now, I wasn’t sold on the first book. It is inspired by Beauty and the Beast but also not. The plot was there, just. The action was there, at the end. 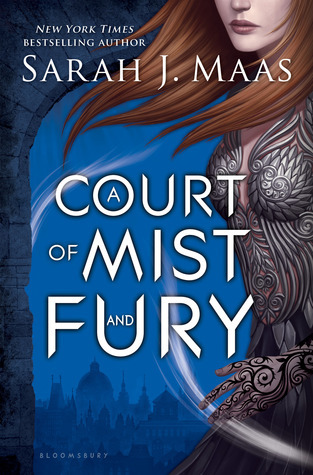 It was a slow build to what will become another series for Sarah J Maas, but I have to say, I never hesitated on buying this book. The blurb itself sounds more interesting and now I will give you my reactions while I read it in ten GIFs or less. Well, Hello there, I don’t think I like you. Did that just? Wait, what? You silly girl, why put yourself through all that pain and suffering again and again? You were happy! YES. Ms. Maas this is why we love you, this is beautiful. So special. Ah but of course it can’t all be rainbows. Why do this too us?! Oh wait, I still have 2/3rds of a book left. Excellent. This is my thoughts for like, half this book. Just do it already. You know you want to. Trust him! We all love a bit of espionage, action and some flirting. Right? I think you just got out… wait did you? Wait… What? So much going on, how fast can I read again? Who is winning? Well isn’t that malicious of you Sir. Ms. Maas, that is just mean. How long is it until the next book because I believe I’m in need of it… yesterday. Thanks. Well that is it for this spoiler free reaction post. I hope this tempts you to try it out. Like her previous series you need to get past the first book then BAM you have so many feelings and thoughts. Overall this book is a solid 4.5/5. Losing half a star because it got a little slow there in the middle.